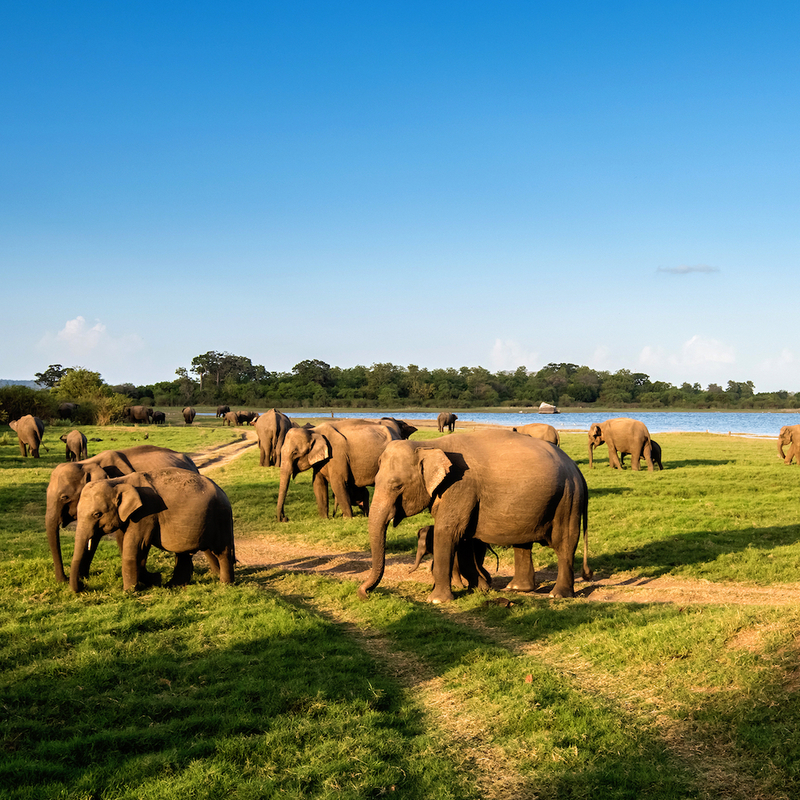 Offering everything from ancient temples and palm-lined beaches to wild safari adventures in a relatively compact package, Sri Lanka's appeal is easy to understand. 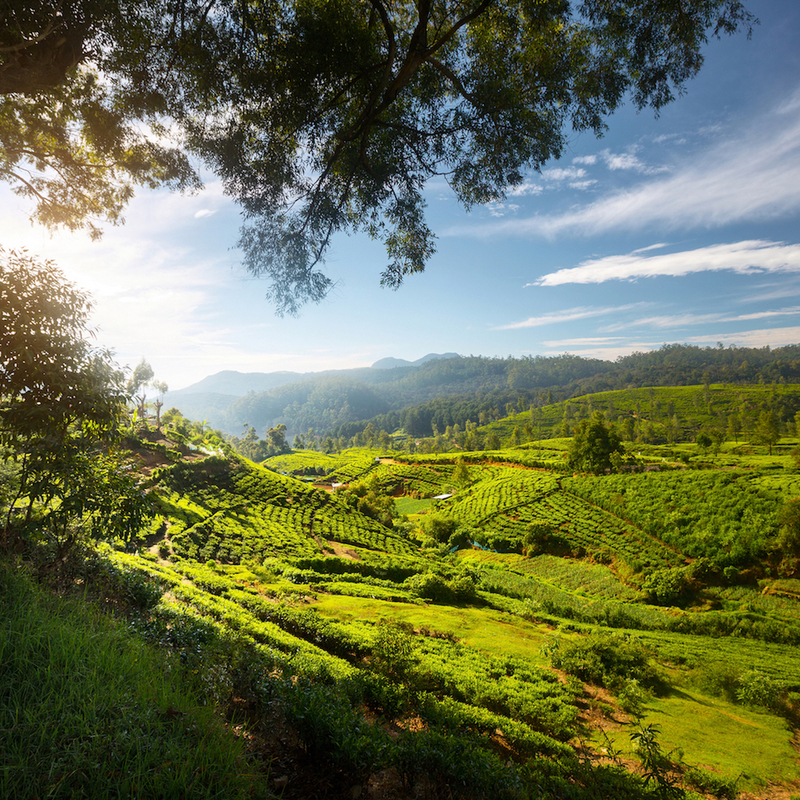 Add a world-renowned, jaw-dropping train journey along with a luxury stay on a high altitude tea plantation, and you'll really begin to comprehend why the country formerly called Ceylon is the stuff of dreams. Whether you pair it with a trip to the Maldives for an epic combo-moon, or dedicate your entire honeymoon to Sri Lanka, here is our favorite way to enjoy a week on the exotic island. Sri Lanka was mostly off-limits to western travelers due to a decades-long civil war which only ended in 2009. The recovery process has been swift, but tourism and transportation are still developing across the island nation. To ease with trip planning and ensure smooth transportation across different parts of the nation, many travelers might want to consider hiring a reliable private chauffeur. Rates are assuredly affordable, and the luxury of having a driver who knows the country (and can even act as a personal guide) can be priceless in certain areas. If you're not the type to shy away from a little DIY adventure, scenic train routes combined with an accessible bus network can still take you everywhere you'll need to go. Arrive in Colombo, the pulsing heart and largest city of Sri Lanka. The country's former capital is a major cosmopolitan city of multicultural influence that weaves together past and present, where modern high-rises and urban attractions dot the canvas alongside colonial buildings and historic temples. 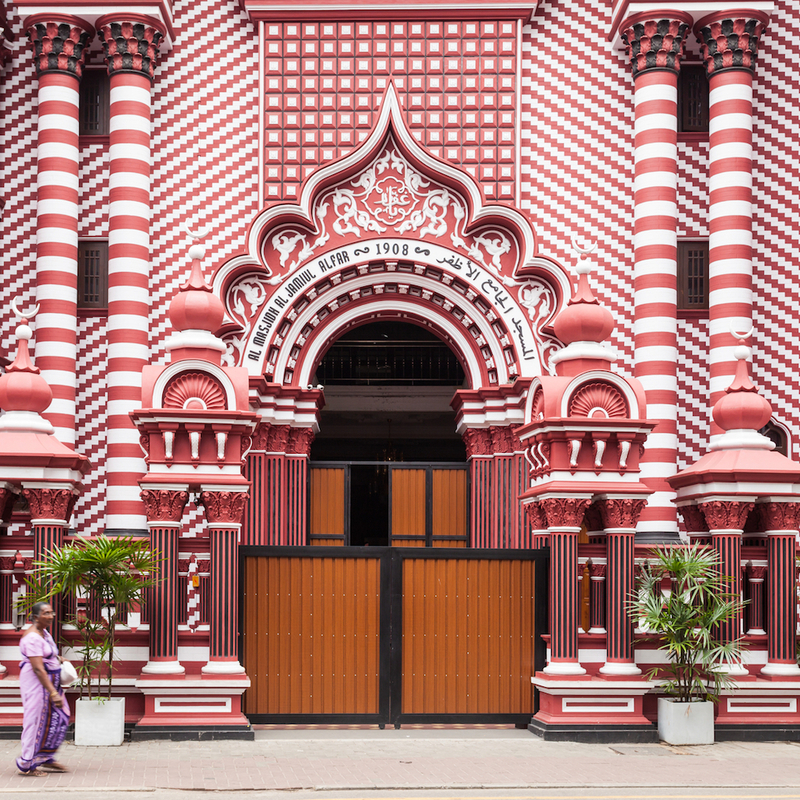 Whizz through the lively streets and leafy boulevards on a tuk-tuk towards Pettah, the oldest district in Colombo. Wander through the market stalls here and enjoy the assault of Sri Lankan sights, sounds, and smells before retreating to the comforts of your hotel for the evening. This 10-room boutique hotel in one of Colombo's most elite neighborhoods packs an impressive past as the original home of a former Sri Lankan prime minister. Historic charm abound, guests can expect top-notch personalized service from a staff that has hosted royalty on multiple occasions. Opt for an aptly named royal suite to enjoy a generous private balcony, perfect for greeting the warm Sri Lankan morning before venturing into the sun-drenched courtyard for breakfast. 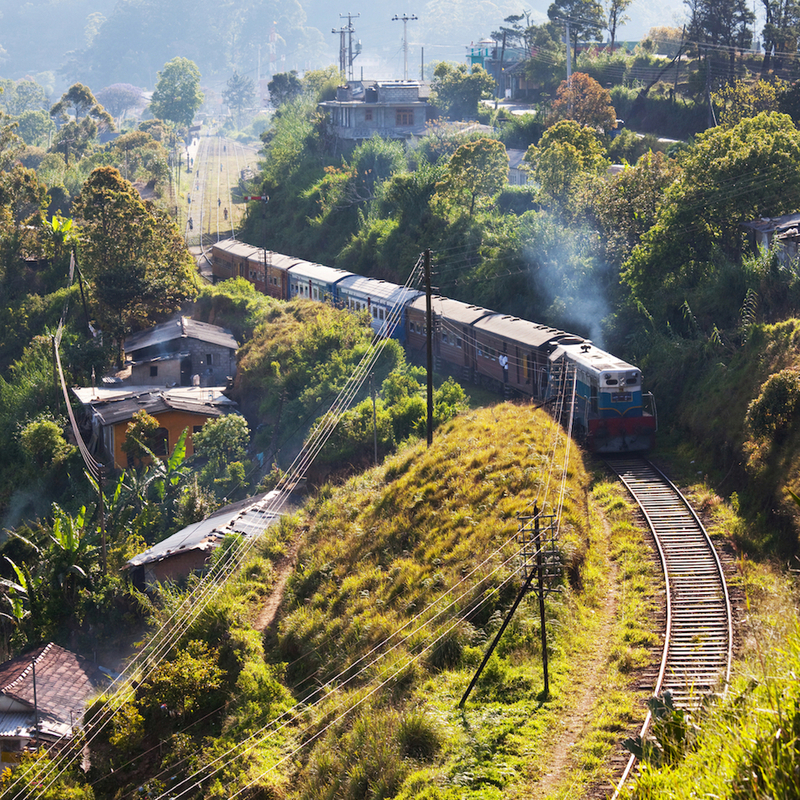 Gear up for an early morning train trip up to Sri Lanka's tea country. Opting for the drive might save you a bit of time, but you'd be missing out on one of the most beautiful rail trips on the entire planet. Send your driver (if you have one) ahead and hop aboard one of the 1930's train carriages which depart from Colombo Fort station for the 5-hour ride. Let the inexplicable decrepit charm of Sri Lanka's railway invigorate the vintage lover inside of you. You'll trot along narrow terraces, dense forests, and muddy rice paddies on the trip up to the highlands. The vegetation will thicken, waterfalls will flow in the distance, and a rainbow or two will likely greet you as you chug closer and the humidity begins to drop. Sri Lanka is the fourth largest producer of tea in the world, and even if the most widely consumed beverage isn't, well, your cup of tea - a visit to this verdant region is entirely magical. This all-inclusive Relais and Chateaux property set the standard for luxury hospitality in Sri Lanka and introduced the world to the tea bungalow resort concept. Situated across 2,000 acres surrounding serene Castlereagh Lake, the resort is comprised of five restored plantation bungalows, each part of a functioning tea estate. 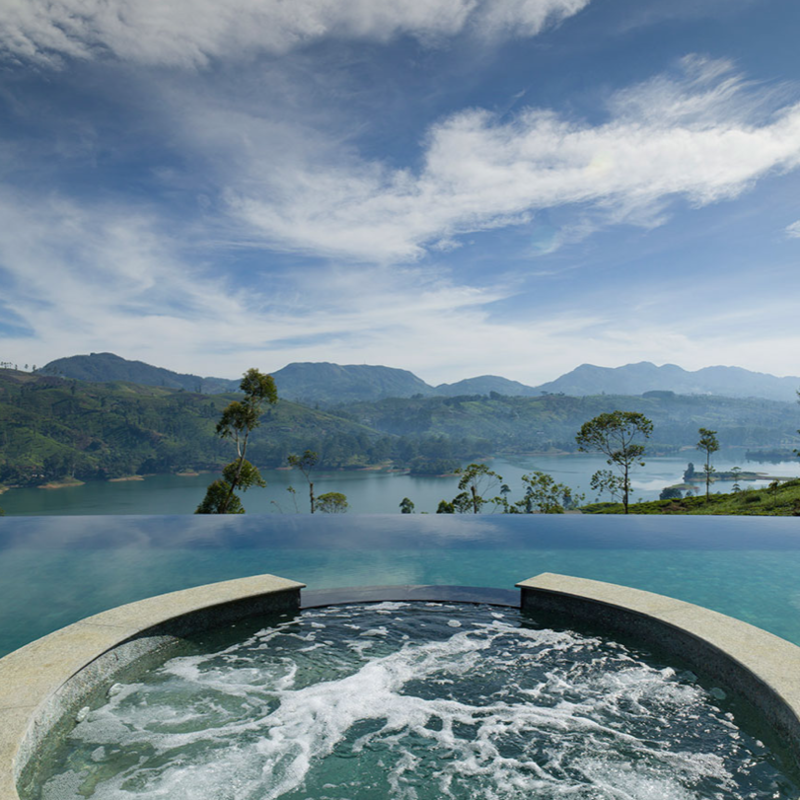 While the individual bungalows are unique in design, each enjoys panoramic views of the vast tea fields and distant mountains, private butler service, and multiple-course Sri Lankan meals made of fresh ingredients sourced right from the property. Spend entire days lazing across the grounds, but be sure to take part in day hikes, kayaking trips, or any of the resort's organized activities. Tea, as expected, is served freely, though judiciously. 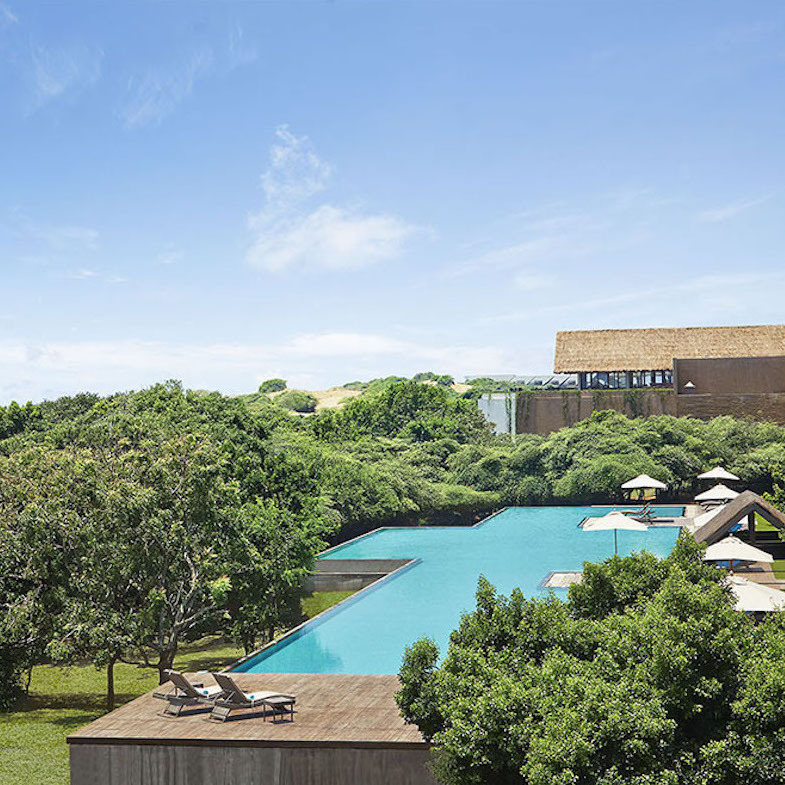 After a long - albeit pleasant - journey out of Colombo, you deserve a day to treat yourself. Wake up to a gentle bed tea service, brought to you by butler, and greet the morning mist outside with one of the world's finest cups of tea. After a chef-consulted breakfast, feel free to flounder about the gardens or take a dip in the pool (with 360-degree views over Bogawantalawa Valley) before opting for an in-room, tea-infused couples' massage. Enjoy a hearty lunch and give in to the powers of siesta before embracing the ritual of afternoon tea with freshly baked cakes and good company. Watch the sunset from a bubbling jacuzzi, or enjoy cocktail hour by a roaring fire before capping the day with a fabulous, 4-course dinner. Take it slow - life at Tea Trails is truly a treat. It might be attractive to simply re-live the subtle magic of yesterday's events all over again. (And if that's your decision we certainly wouldn't blame you.) If you can resist the temptation for such sublime relaxation, arrange for an excursion to hike up Adam's Peak. 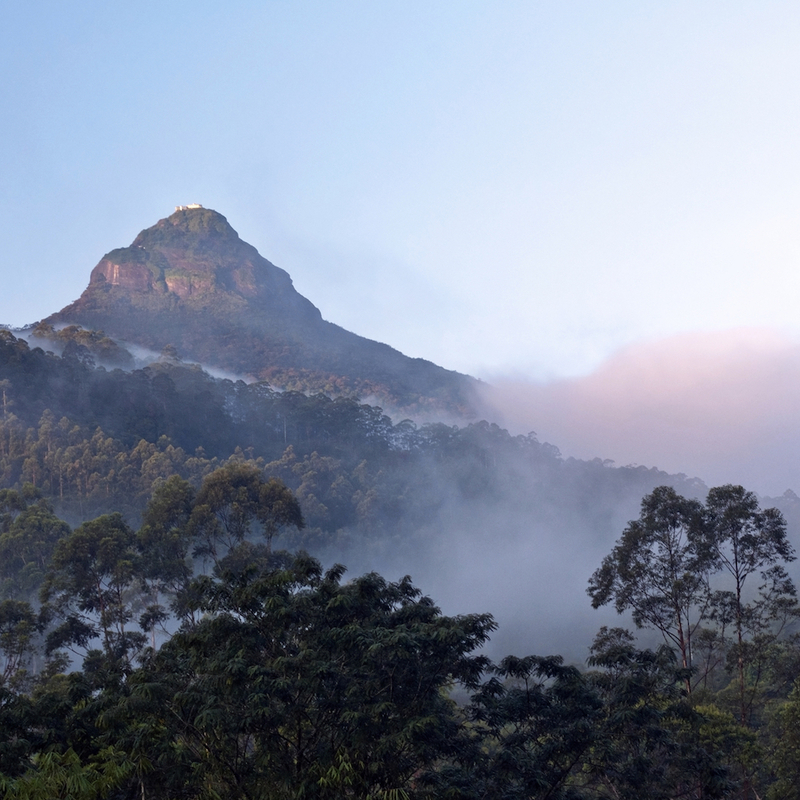 While not the tallest mountain in Sri Lanka, Adam's Peak (also known as Sri Pada) is easily the most impressive and most significant. The peak holds historical value to multiple religions - Hinduism, Buddhism, Muslim, and Christianity - for various reasons, and has been an important pilgrimage for over 1,000 years. Whether you're interested in the religious significance of the mountain or not, summiting Adam's Peak together is a bucket-list-worthy accomplishment that will reward you with unbelievable views of the surrounding area all the way down to Colombo and beyond. The hike up is accessible even for novice hikers, and altogether the excursion requires between 5-7 hours - short enough to still make it in time for dinner back at the resort. This is the longest day of travel, but the 6-hour drive to Sri Lanka's Southeast corner is filled with monasteries, temples, tea factories, waterfall vistas, and cave hikes. Plan to stop for lunch and enjoy an activity or two along the way to break up the road trip. 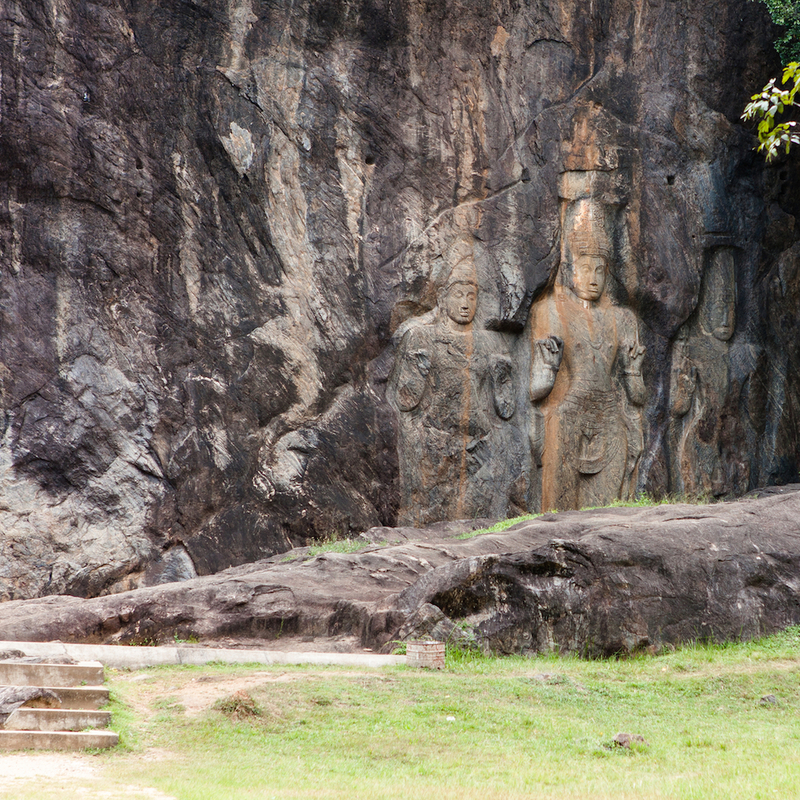 The rock sculptures at the ancient Buddhist temple of Buduruvagala are incredible, and the gushing Ravana Falls are impressive. If you do visit the latter, be sure to tack on the journey into the Ravana Ella Cave, where evidence of human habitation over 25,000 years ago was recently excavated. Arrive at your accommodation by dusk, check in, and swiftly check out the multitude of dining options. The primary mission of this accommodation was to integrate seamlessly with its stunning natural surroundings and allow guests to fully immerse in the scenic and wildlife wonders of Yala National Park. We, along with most others who have visited, would say that they have succeeded and even surpassed that initial vision. Located at the edge of the park, the beachfront resort enjoys a global position as one of the only places where guests can simultaneously enjoy the sound of an ocean shore along with the calls of the tropical wild. With that in mind, honeymooners will love that all of its 80 guest rooms feature private balconies, which can offer views of everything from the ocean to elephants. Still not close enough to the call of nature? Give glamping a go at by sleeping in a luxury tent at the neighboring Jetwing Safari Camp. Yala is Sri Lanka's most popular national park for good reason. It offers a mesmerizing showcase of 44 mammal species and 200+ bird species across a diverse range of habitats from scrub jungle to lagoons, swamps, and sand dunes. From the comforts of a guided safari jeep, visitors marvel at sightings of majestic elephants, sloth bears, spotted deer, peacocks, and plenty more. The silent but momentous celebration of spotting one of the park's elusive leopard - which concentrate here in greater numbers than anywhere else on the planet - is an experience of epic proportions. Yala opens at 6 am, and we recommend getting there when doors open to really feel as if you've stepped inside the Jungle Book. Wildlife drives typically last around 4 hours and include food for the early start. You'll likely want to revisit the park - just 10 minutes from Jetwing Yala hotel - again in the afternoon for another drive. In the meantime, feel free to enjoy an afternoon nap, or head for a swim in the pool to test out the offerings of its swim-up bar before round 2. Cap this otherworldly day with a private dinner on the sand dunes at the edge of the Indian Ocean - the perfect place to revel in your astonishments and scroll through your captured photos. The drive back to Colombo is 5 hours, though a much shorter domestic flight can take you there if you'd rather avoid more road travel. Your schedule will likely dictate just how much rest and relaxation you can reserve for this final day, but either way, we're advocates of rounding out a week-long adventure with some well-earned downtime. Head to the shore and let your feet sink in the golden sands while watching the waves come and go. Engage in a thankful yoga session to reflect on your coast-to-coast experience. Or just laze on your balcony and relish in the sights and sounds of the unequivocally Sri Lankan surroundings until it's time to depart.